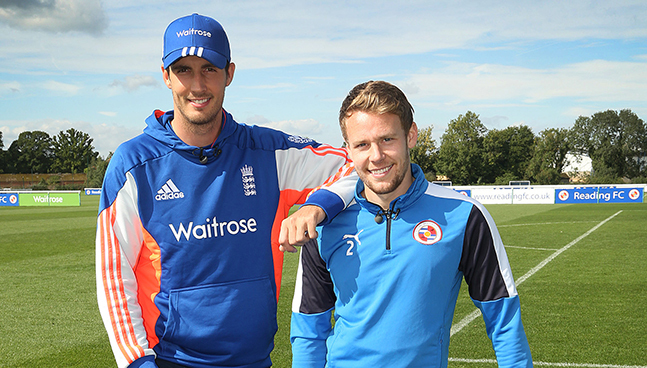 England fast bowler Steven Finn and Reading full back Chris Gunter challenged each other to an array of football and cricketing challenges at Reading’s Hogwood Park training ground. The sporting pair tested their cricketing and footballing skills as they competed in trials that included the crossbar challenge and hitting the stumps. In a very tight contest neither player gave an inch to their opponent as they battled to win The Waitrose Challenge. Watch the video below to find out who came out on top.